As you browse this site you will discover a uniquely different kind of accounting firm. 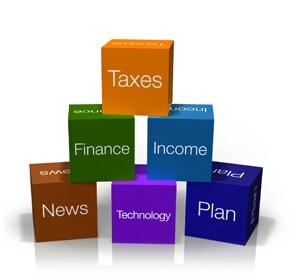 True, I provide traditional accounting and tax services offered by CPA’s. More important though, I take a proactive approach in providing close, personalized service that is more results oriented than the average CPA. Today, more than ever, you need a trusted advisor that goes beyond just the basics. When serving your business, tax and financial needs, I strive to identify key planning opportunities that minimize both your current and future taxes. I also work with you in developing valuable financial solutions and exploring creative ideas that provide long-term benefits for your financial future. Estate planning, financial planning and asset protection services set our firm apart from all others. With that in mind, I encourage ongoing communication with my clients to facilitate the discovery of opportunities as they present themselves. This Website is just one form of communication enabling me to provide you with timely information that will keep you up-to-date and informed. Please take some time to browse around my Website. It has been designed to be a useful resource to my valued clients, and visitors. Remember to bookmark this site as it is continuously updated. We encourage you to contact us by clicking the contact info link to the left. Let us know how you like our website or if we could help or be of service to you. We welcome the opportunity to serve as your trusted advisor, CPA, estate and financial planner for many years to come.